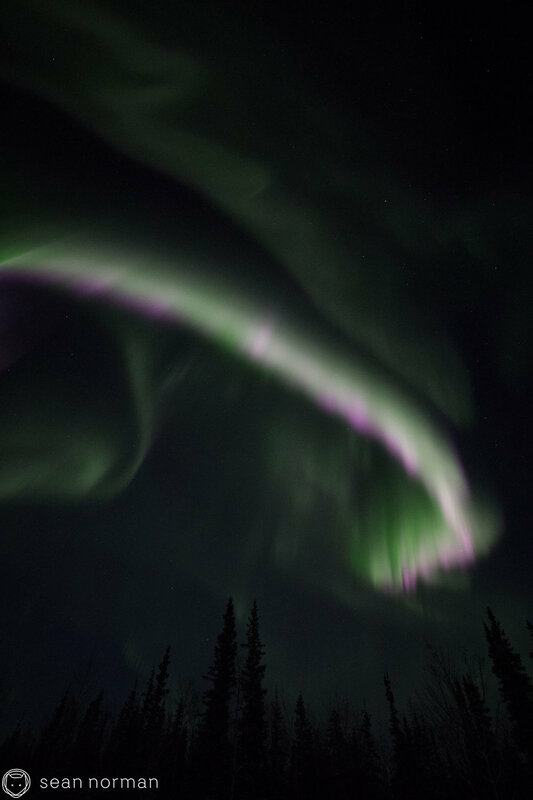 Pinks, greens and movement all across the sky - this is all the amazingness of the aurora experience. 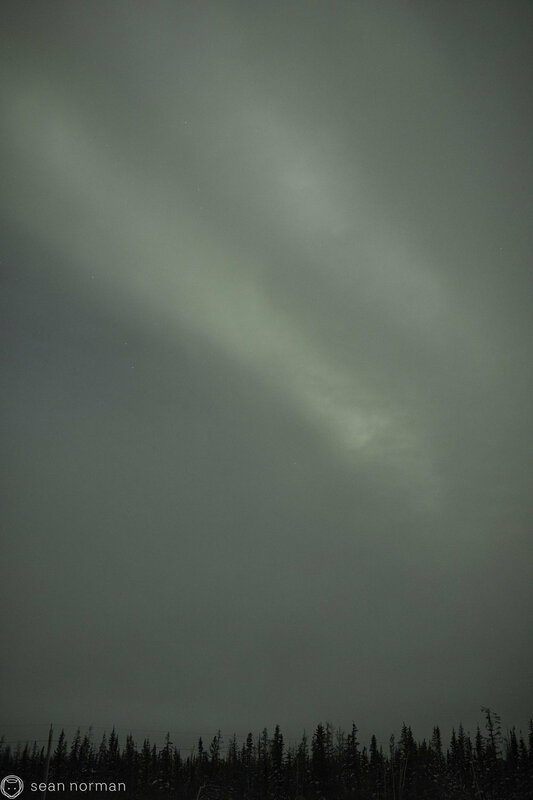 Thin, high altitude cloud, and for all intents and purposes, a full moon - these are not my favourite aurora viewing conditions. But the moonlight, it’s so perfect for portraits. 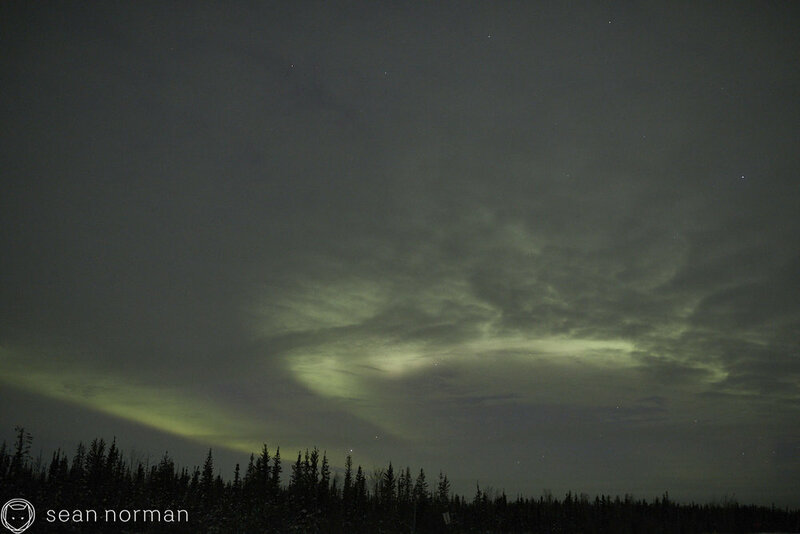 This widespread, thin cloud that imitates the most faint aurora does not fit into this such perfection. Still, for a mid-November night with yet another snowstorm threatening, this is, with some relativity, very perfect. Somewhere between consecutive nights and far too many hours of very quiet auroral conditions, and typical November weather, we had tonight. 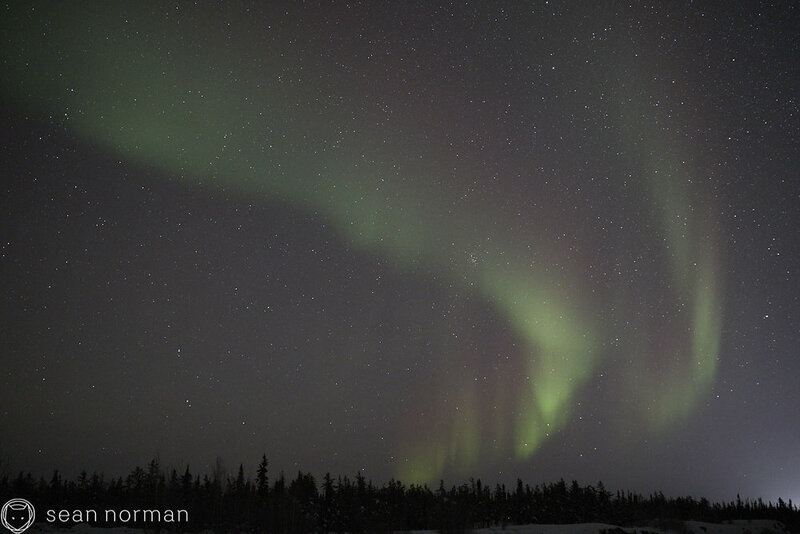 A few hours of dead clear skies, a sky filled of the aurora, and again so many falling stars - but you’ll have to find a better photographer for proof of that. These are the nights that make you glad you’re staying another night. She was a particularly quiet lady this evening. Ohh skepticism, our old friend. I’m sorry if I’m repeating blog post titles again, but it’s just too perfect when we’re sitting in the car together watching the snow fall in the headlights with overcast clouds out every window, talking about the weather before we leave. “It’s better than you’re thinking now” I promise out loud. 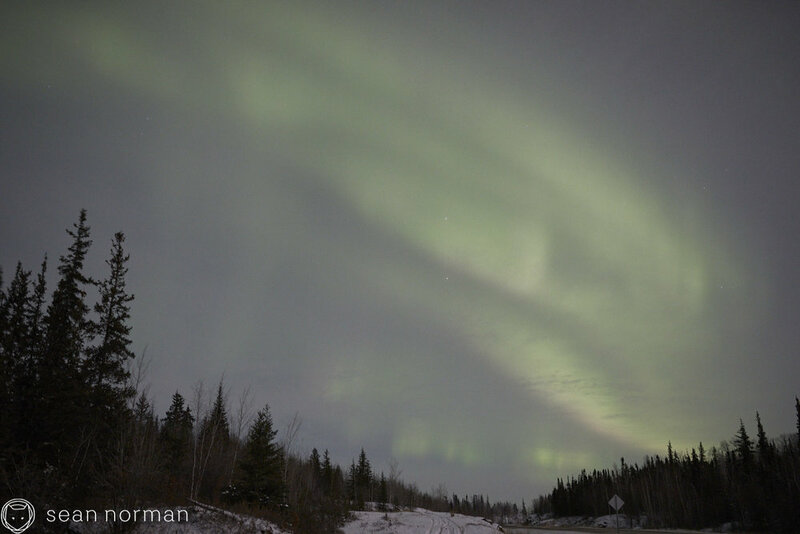 I could have felt the skepticism in the car from the 70+ kilometres away to where we’d end up, under clear skies, as the weather maps promised. I love these nights so much. It wasn’t a night of dramatic movements or harsh changes. 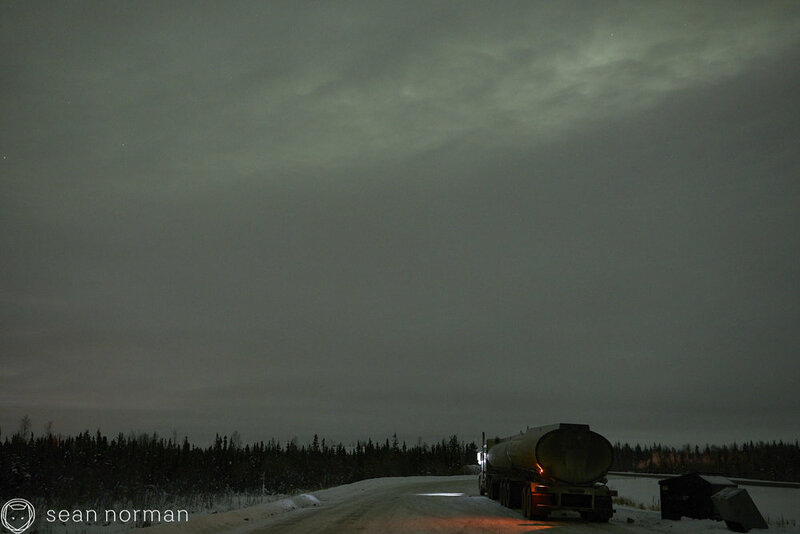 We casually cruised the Ingraham Trail for some time entering and leaving pockets of clearer and then foggier skies. It almost felt never ending and a game purely of luck, but it was almost soothing. 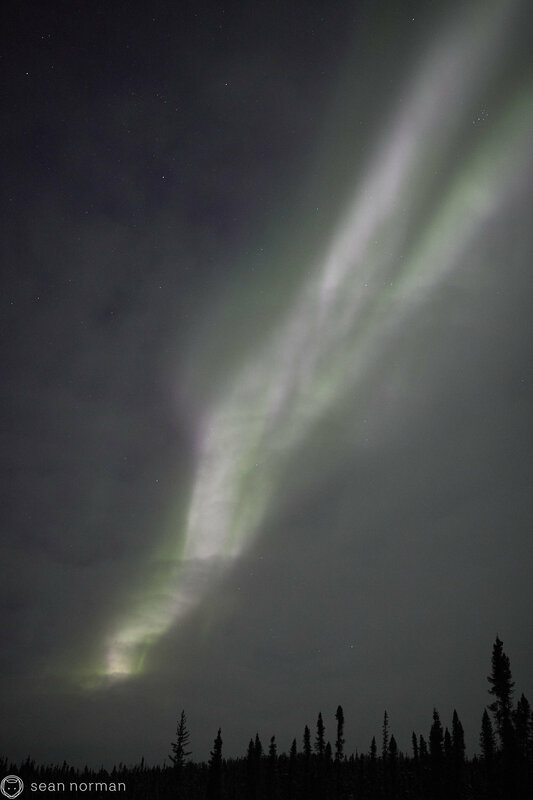 There was no hurry, the aurora was quiet. 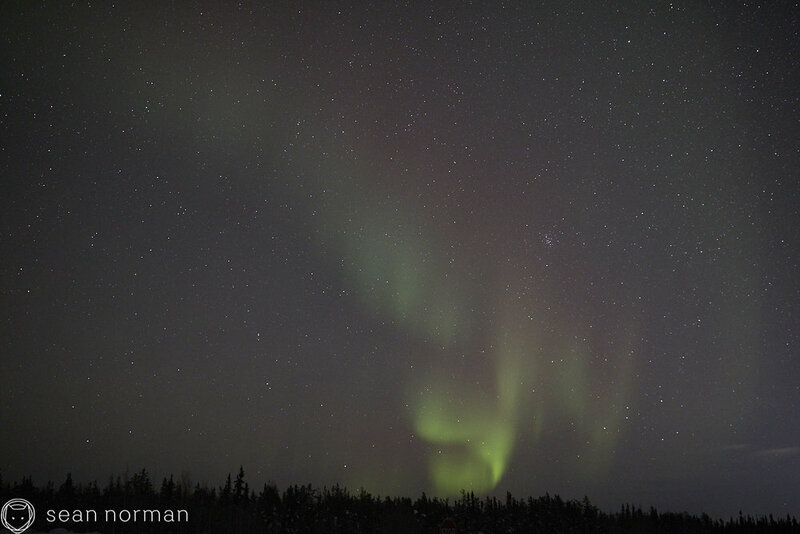 Then just as we made a small location change toward the middle of the night, just a little clear sky opened up and not long after some very quick pinks danced along the horizon. As predicted, a northern Canadian city gets hit with 30cm of wet snow and all the plows are anywhere but somewhere needed. 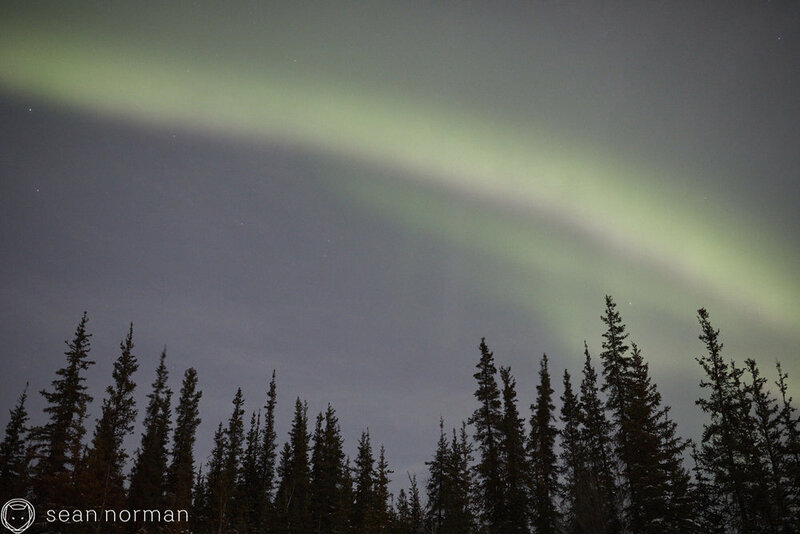 So the night after, we limped back outside and inched our way far from town hoping to intersect clear skies before the aurora would fade for the night. Which is really sweet, but unfair. What she really meant to say was, "I'm so in love with our planet and this connection we have with our sun". I think that's far more perfect. It's all just life on earth, and it's something we should be thanking and appreciating so much more. And I think after a night like this, you can never forget it.